The next series in the Figure-rise Effect line-up is here - Figure-rise Ground effect! Display the effect parts in a multitude of ways! 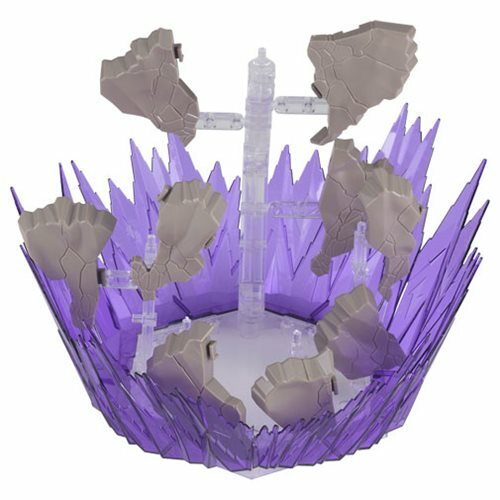 Use the ground parts as a foundation for your display or, using the clear base, you can also reproduce a state where the peeled ground floats mid-air! The Ground Effect Figure-Rise Effect Action Figure Accessory includes action base, 4x joint parts, 2x small prop parts, 2x large prop parts, pedestal joint, 3x molding parts, and instruction manual. Ages 15 and up.